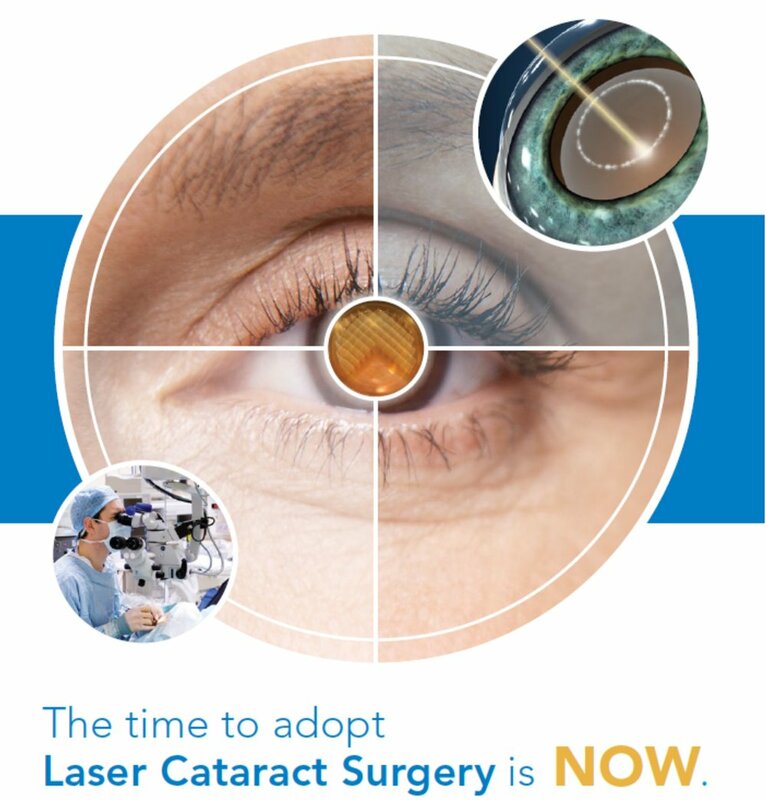 Laser Assisted Cataract Surgery — Spectrum Eye Care, Inc.
Capsulotomy – a centrally placed and tightly controlled circular incision allowing access to the cataract. Lens Segmentation and Softening – treatment of the cataract itself to aid removal and minimize or eliminate ultrasonic energy delivered into the eye. Arcuate Incisions or Limbal Relaxing Incisions – used to treat astigmatism. The laser can produce these within pockets to help offset dry eye conditions. 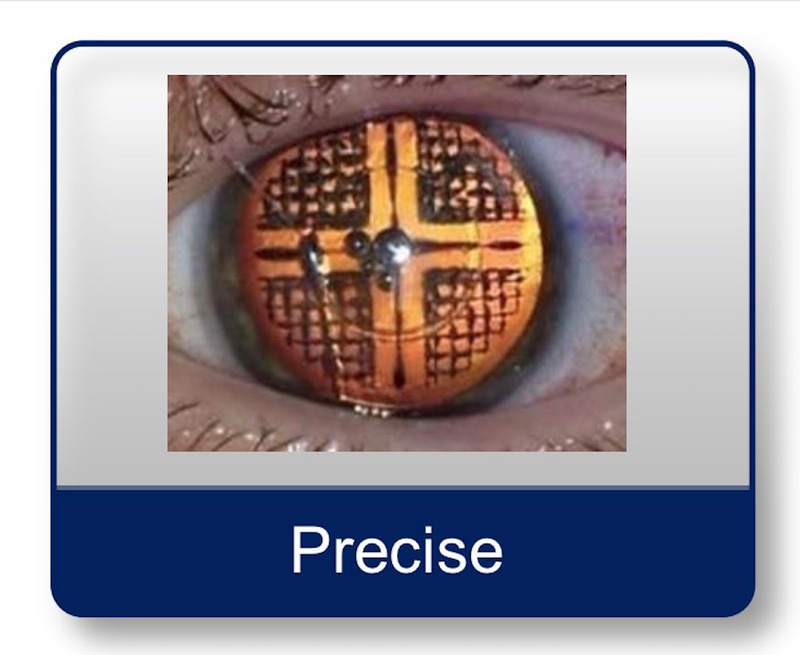 Cataract Incisions – precisely located and sized incisions normally done with blades to allow access to the cataract. How Does the Laser Differ From Traditional Cataract Surgical Techniques? Traditionally the eye surgeon uses blades to create incisions for lens treatment and removal. 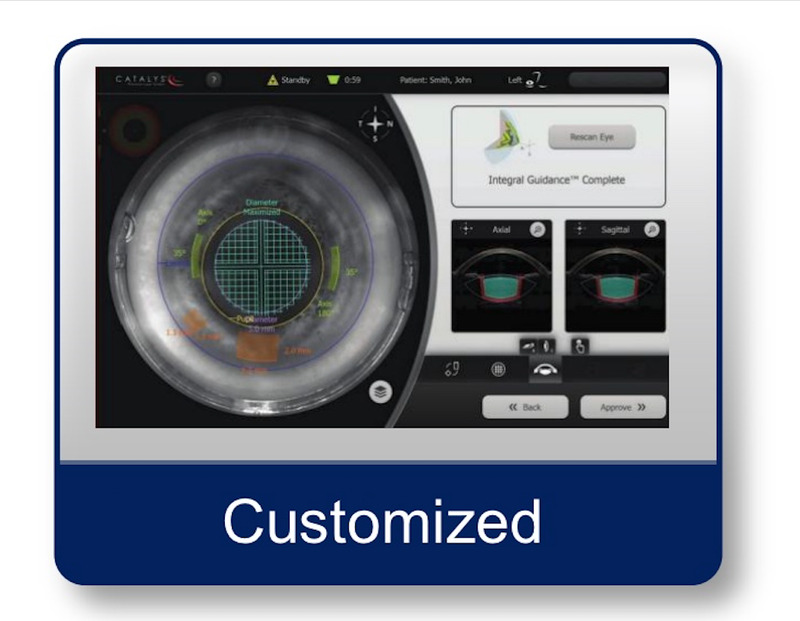 The laser uses computer guided imaging with over 10,000 scans to produce a highly detailed and customized image of your eye. This image is the basis for the treatment plan and laser control to produce incredibly precise incisions instead of manual incisions with blades. Usage of the laser to pre-treat the lens prior to its removal can minimize and in many cases significantly reduce the usage of phacoemulsification (ultrasonic) energy applied within the eye, minimizing ocular trauma and aiding recovery. Astigmatism is an irregular curvature of the cornea. When light enters the front part of the eye this irregularity can bend light in one direction more than another which can lead to a blurred, distorted vision. This condition can be treated with the CATALYS® Laser with the creation of Limbal Relaxing Incisions placed strategically to address the corneal irregularity. Learn how we can maximize your visual outcome and reduce your dependency on glasses. Speak to our surgical staff to discuss implementation of a treatment plan tailored to your needs with the CATALYS® Precision Laser System. © 2019 SPECTRUM EYE CARE, INC. | ALL RIGHTS RESERVED.